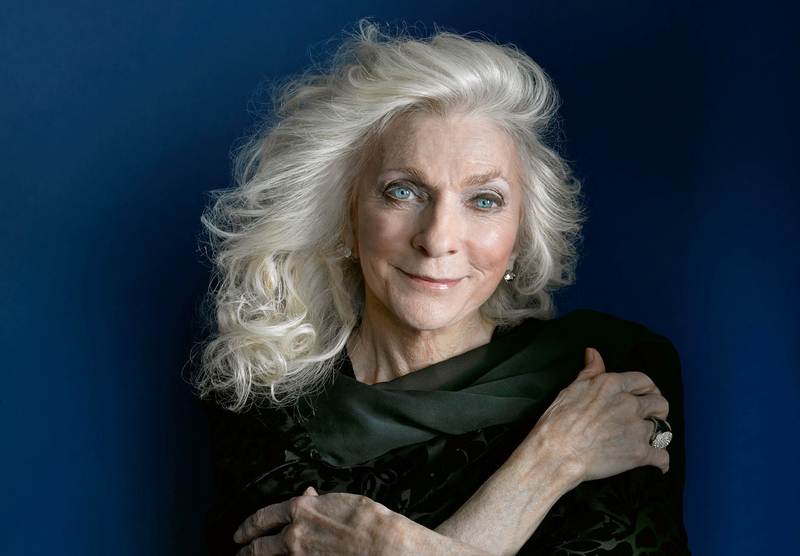 In 2012, she released the CD/DVD Judy Collins Live At The Metropolitan Museum Of Art which aired on PBS. This special television program was nominated for a New York Emmy and won a Bronze Medalat the 2013 New York Festival International Television & Film Awards. Based on it’s success, in 2014 she filmed another spectacular show in Ireland at Dromoland Castle. Live In Ireland was released in 2014. This program also won a Bronze Medalat the 2014 New York Festival International Television & Film Awardsand the program will broadcast on PBS in 2014 and 2015. Judy has also authored several books, including the powerful and inspiring, Sanity & Graceand her extraordinary memoir, Sweet Judy Blue Eyes: My Life in Music. For her most recent title to be released in 2017, Cravings, she provides a no-holds barred account of her harrowing struggle with compulsive overeating, and the journey that led her to a solution. Alternating between chapters on her life and those of the many diet gurus she has encountered along the way (Atkins, Jean Nidtech of Weight Watchers, Andrew Weil, to name a few), Cravingsis the culmination of Judy's genuine desire to share what she's learned—so that no one has follow her heart-rending path to recovery.